Before becoming a trainer and before getting myself in shape, came the decision to never be 270 pounds again. The road was hard and met with many challenges. From self – esteem to over eating and almost giving up. 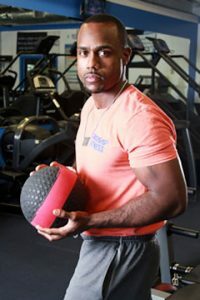 The Will to continue and to finish what I started led me down the path to becoming the great personal trainer I am today. With Over 8 years of Experience with helping others reach there goals, I believe I am on to something. *DISCLAIMER: Results are not guaranteed. Results can vary depending on several factors. Results that you experience will require ongoing adherence to a fitness program to maintain. ©2017 B.O.S.S Fitness; - Do not copy. All rights reserved.